Milla Jovovich, Paul W.S. Anderson’s personal monster-hunting muse. Director Paul W.S. Anderson has made a cottage industry out of turning video games—and specifically, Capcom’s zombie-heavy Resident Evil franchise—into low-budget, high-spectacle, uber-stylish action movies. Although their qualities are decidedly hit or miss, Anderson’s RE movies generally average out to “Pretty good if there’s nothing else on TV”; the entries the man himself directed, instead of handing off to someone else, generally being the best of the bunch. Anderson hasn’t directed a new movie since 2016's (disappointing) Resident Evil: The Final Chapter, but we’ve known for a while now that he’d soon be going back to the Capcom adaptation trough, courtesy of a take on the studio’s repetitive-but-in-a-fun-way Monster Hunter franchise. 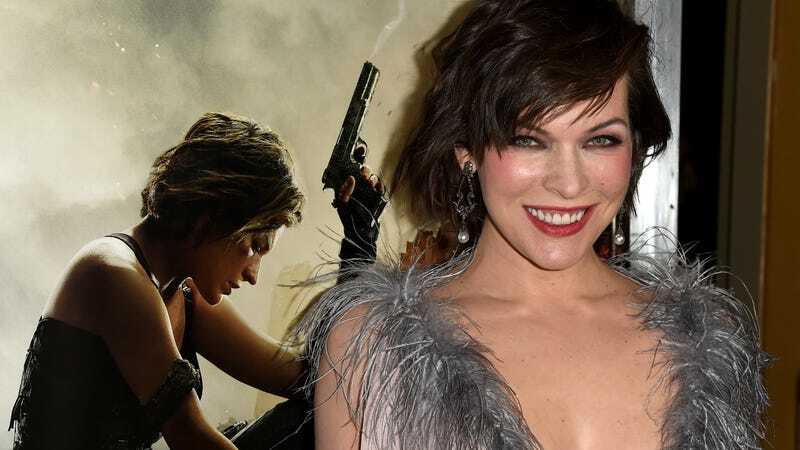 Personal muse Milla Jovovich has was quick to sign on for the project, along with Ron Perlman and Ong-Bak’s resident badass, Tony Jaa. Now, the film has a release date (September 4, 2020), and, if we’re being totally honest here: We’re getting kind of excited. For those unfamiliar, Monster Hunter jettisons Resident Evil’s complicated plotting in favor of something much more simple: There are big animals out there, so let’s go kill them, skin them, and use their parts to make weapons and armor to make it easier to beat up other monsters . (There’s other stuff, too, but really, that’s all you need to know.) In other words, this is a movie about Milla Jovovich (playing a soldier from our world, transported to monster land) and Tony Jaa kicking the crap out of fire-breathing T-Rexs and literal, actual dragons, possibly with a grappling hooks attached to their arms. Suddenly, September 2020 can’t get here soon enough.